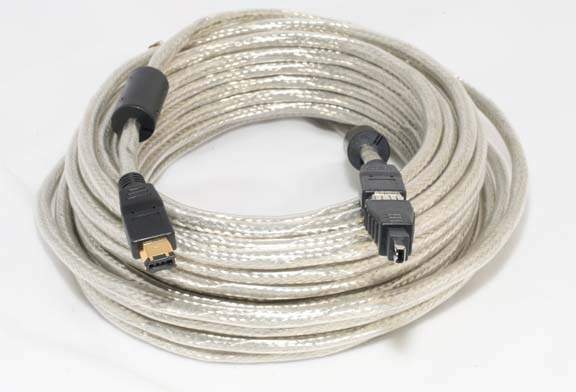 Long Firewire Cable 6 Pin to 6 Pin 10 Meter. Includes 6 Pin- Female to 4 Pin Male Adapter. This cable will only work with devices that handle the four pin Input. Example: Digital Camcorders. Some devices will not work with these as they are extra long. We have tested the on Several Camcorders with much Success. As always if does not work in your application we will take it back.